John Lennon famously rediscovered his muse in Bermuda after sailing to the island in 1980 — and now the Masterworks Museum plans to mark the former Beatle’s creative renaissance with a major commemoration of his local sojourn. Mr. Lennon wrote or completed all of the songs included on his albums “Double Fantasy” — which took its title from a freesia he saw at the Botanical Gardens — and the posthumously released “Milk & Honey” during a whirlwind burst of activity in Bermuda. He was murdered by an obsessed fan outside his New York apartment in December, 1980, just weeks after “Double Fantasy’s” release. Among the songs included on “Double Fantasy” is the classic “Woman.” . 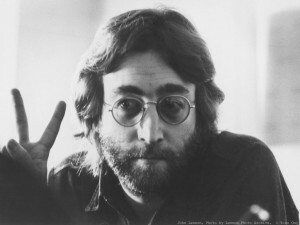 Written in Bermuda during the summer of 1980, “Woman” was the first single released after Mr. Lennon’s murder. Described by one critic as “the breathlessly excited audio postcard Lennon recorded for Yoko when he was vacationing and demo-ing in Bermuda”, the song topped the charts on both sides of the Atlantic in early 1981. “Woman” has come to be regarded as one of the singer/songwriter’s finest and most mature works in the years since his death. The former Beatle said an interview: “The song ‘Woman’ came about because, one sunny afternoon in Bermuda, it suddenly hit me what women do for us. Not just what my Yoko does for me, although I was thinking in those personal terms … but any truth is universal. Home demos Lennon recorded of “Woman” as a work in progress in Bermuda — along with other material he either wrote or polished here – have been posted on-line. “John visited the Botanical Gardens several times in 1980 and enjoyed lunch at the Il Chianti restaurant — which used to be adjacent to where the Masterworks Museum is now located — with his son Sean, who was just four at the time,” continued the Masterworks spokesman. “Masterworks has long wanted to have a John Lennon memorial at the our museum — which, of course, has as its mission repatriating and celebrating artwork inspired by Bermuda in all media. “Because of local musician Tony Brannon’s contacts with Andy Newmark, the Bermudian drummer who was part of Lennon’s session band on the ‘Double Fantasy’ recordings, we approached Yoko Ono’s lawyer Jonas Herbsman to ask for Yoko’s support of this tribute. The target date for the unveiling of this statue is June 21, 2012. This date is right in the middle of the timeframe which mirrors when Mr. Lennon was in Bermuda writing “Double Fantasy” in 1980. In conjunction with the opening, the Masterworks Museum will host the John Lennon traveling art exhibit which will be displayed in the Rick Faries Gallery. “Yoko was very supportive of the idea,” said the Masterworks spokesman. “Yoko did not want another bronze statue in the image of John, but rather a sculpture that symbolised John, ‘Double Fantasy’, the flower and Bermuda. “To that end Bermudian artist Graham Foster was selected to come up with sketches that we could present to Yoko. In July, Tony Brannon took the Foster sketches to New York; Yoko was absolutely delighted with them and even gave Masterworks Museum the choice for the final Foster sculpture design”.